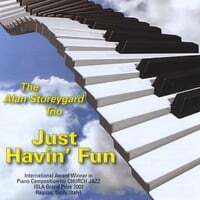 This is a unique and brilliant album featuring Alan Storeygard with the Alan Storeygard Trio and friends. 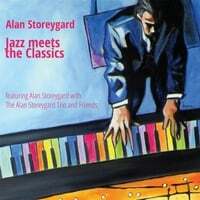 Storeygard, who is a pianist, composer, artist and physician, has taken classics such as Beethoven’s “Ninth Symphony” and added a twist to incorporate a jazz component in his own style. This is Storeygard’s fifth album and it ROCKS! Track 5 is “The Star Spangled Banner with Italian Ending (from “Nessun Dorma.”) This is an amazing rendition. The beginning is very jazzy sounding and then, in big bold notes, one begins to know the melody. A very moving piece! 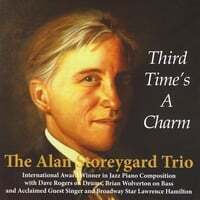 Other surprises on this album are pieces composed by Peter Ilyich Tchaikovsky, Johann Sebastian Bach and Sergei Rachmaninoff that Storeygard has arranged and taken to a new level. 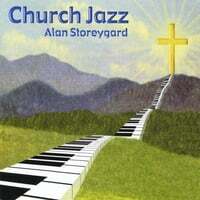 I highly recommend this CD for some inspiration and a new perspective on some classics.